UPDATED – SAO PAULO (CNS) — Cardinal Paulo Evaristo Arns, known as the “cardinal of the people” and one of the most active voices against Brazil’s military dictatorship, died in Sao Paulo Dec. 14. The 95-year-old retired archbishop of Sao Paulo had been hospitalized since Nov. 28 with pneumonia. At a celebration for his 95th birthday, leaders of Brazil’s landless movement as well as former government leaders, sportscasters, intellectuals, journalists and artists held a party at Sao Paulo’s Catholic University and spoke about Cardinal Arns’ dedication toward the poor and his fight against human rights violations and political persecution during the 1964-85 military regime. Cardinal Arns’ casket was placed in Sao Paulo’s cathedral for visitation until his Dec. 16 funeral and burial in the cathedral’s crypt. Brazil’s military dictatorship ruled the country from 1964 to 1985. In one of his most famous actions against police violence in the 1970s, Cardinal Arns faced a military squadron to retrieve the body of Santo Dias da Silva, labor leader and member of the church’s workers’ pastoral. In his 28 years as head of the Sao Paulo Archdiocese, he created 43 parishes, built more than 1,200 community centers, and encouraged the creation of more than 2000 basic ecclesial communities in the city of Sao Paulo. In 1983, he was one of the founders of the Children’s Pastoral, or office, with the help of his sister, Zilda Arns Neumann, who died in the 2010 earthquake in Haiti, where she was doing humanitarian work. Dr. Nelson Arns Neumann, international coordinator of the Children’s Pastoral and Cardinal Arns’ nephew, remembered his uncle fondly and told CNS it would be impossible to describe Cardinal Arns in a few sentences. “He was unstoppable. Had a strong personality and usually achieved what he wanted,” recalled the doctor. “He was the one who convinced my grandfather to allow my mother (Zilda Arns Neumann) to become a doctor,” Neumann told CNS. He said the office’s work has expanded to more than 11 countries, helping 1 million children per month. In Brazil, it has been established in 3,900 municipalities and has more than 200,000 volunteers. “Even in recent years, whenever we went out, he would put his hand on my shoulder and say ‘Courage, courage, let’s go,'” said the nephew, noting that his uncle constantly sought a more just society. Sao Paulo was the world’s largest archdiocese — 9.6 million Catholics — until it was split into five separate sees in 1989. After the division, however, the cardinal criticized the split as dividing the poor from the rich. Among his more than 40 awards, diplomas, titles and honors, Cardinal Arns was named as one of Brazil’s most influential leaders several times. New York’s The Christophers named him “One of 50 personalities who helped make this world better,” and he was recognized by the U.N. refugee agency, UNHCR, for his work in defense of human rights and refugees. The cardinal also was the recipient of Japan’s Niwano Peace Prize and the Letelier-Moffitt International Human Rights Award. Between 1979 and 1985, he coordinated, clandestinely, the project Brasil: Nunca Mais (Brazil: Never Again), where episodes of torture under the military dictatorship are documented. In 1983, he was part of a group that started the Voting Rights Now movement, which eventually led to Brazil’s return to democratic rule. 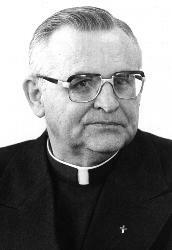 Cardinal Arns was born Sept. 14, 1921, in Criciuma, Brazil. In 1945, he was ordained a priest and served in Petropolis. He was ordained a bishop in 1966 was named archbishop of Sao Paulo in 1970, during the most violent years of Brazil’s military crackdown. Three years later, in 1973, he was elevated to cardinal by Pope Paul VI. That same year, the cardinal sold his ornate residence and its surrounding park to support church workers who helped slum dwellers. “How could the archbishop live in a place if his most faithful and dedicated collaborators lack a minimum of comfort and of the resources indispensable to carry on their work?” the cardinal asked at the time. He served in Sao Paulo until 1998, when he retired. During his last official news conference as archbishop of Sao Paulo, Cardinal Arns said the church must make itself more visible, sometimes even taking political stands to aid those in need. “The Catholic Church has not only stagnated but is in regression,” he said. He noted the population had grown much faster than the number of Catholics. With the coming of a new millennium, people have started to question their values, he said. This is the moment when the Catholic Church should be made more present to guide the population though this “confusing” period, he said. His death leaves the College of Cardinals with 227 members; it did not affect the number of electors, who can only vote until age 80.